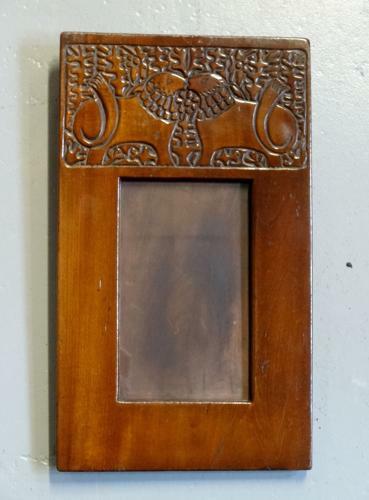 Rare Russian Arts & Crafts photo frame of easel form; c1900. Charming carving of stylised lions to top section and other plant forms. Possibly Talashkino and the stylised plant forms possibly relate to Vasnetsov's 1883 theatre opera set of The Great Hall of Berendei Palace.